Rain has been falling for the last 2 months in Northern California and the temperature has dipped in to the low 40’s which is somewhat atypical for winter. My palate has been craving a more substantive ring guage and subsequently cigars that are more flavorsome—and tonight I chose to pair this cigar with a Lagavulin 16 yr. It’s combination of sweetness and well rounded peatiness was perfect with this vitola. The pairing was very complimentary and enhanced both the cigar and the beverage. 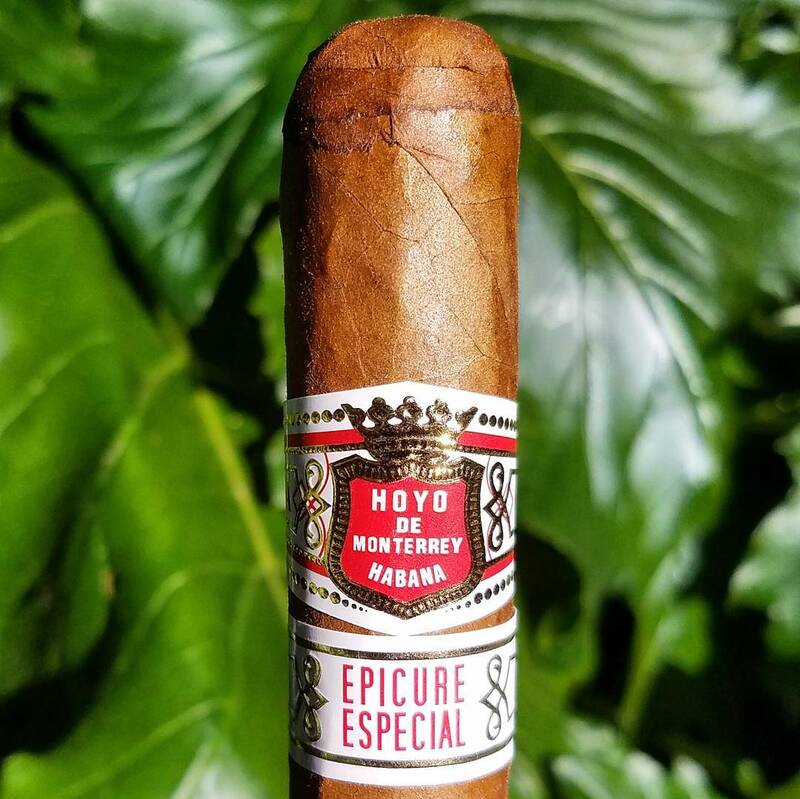 Generally, I smoke Hoyo De Monterrey cigars in warmer months. I most often reach for a glass of vintage champagne or an oaky Chardonnay to complement the well balanced woodiness of the majority of the vitolas in the HDM range. I pulled this particular vitola from the humidor a bit early–generally I age cigars a minimum of 4 years before sampling-but its thicker ring gauge and darker oily wrapper called to me on this particular evening. I was most impressed by the fullness and the roundness of this smoke. Its pre-light aroma reminded me of a tin of Dunhill’s toasted cavendish pipe tobacco–an aroma that takes me back to many days afield with Bourbon, my Boykin Spaniel. I remember the days when we would work the fields together hunting native pheasants. At the end of the day we’d sit on the tailgate of my Jeep and I’d sip Bourbon and smoke my pipe. The fullness of this vitola continued throughout the smoke…spiciness increasing ever so slightly–a slight prickle on the tongue. Satisfying and in no way distracting. To my taste this is a vitola for the cooler months when one wants a HDM vitola with a more forward flavor profile.